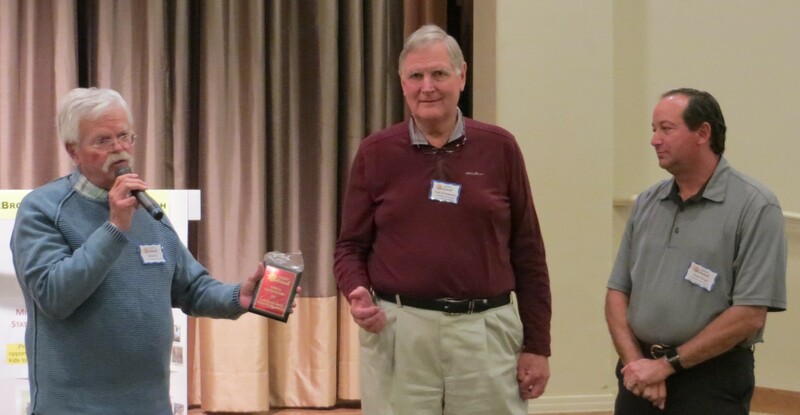 On Monday, April 11, SaddleBrooke Community Outreach hosted its annual Appreciation Event, honoring all volunteers and programs for the past fiscal year. Among the many to be recognized were those who participated in our clothing programs (Kids’ Closet, Teen Closet), education programs (college scholarships, local tutoring in neighboring schools, and support of enrichment programs offered at many of the schools in our service area) and food projects (holiday food baskets, the annual food drive, summer backpacks with supplies for lunches & breakfasts, and our budgeted monetary donation to the Tri-Community Food Bank). 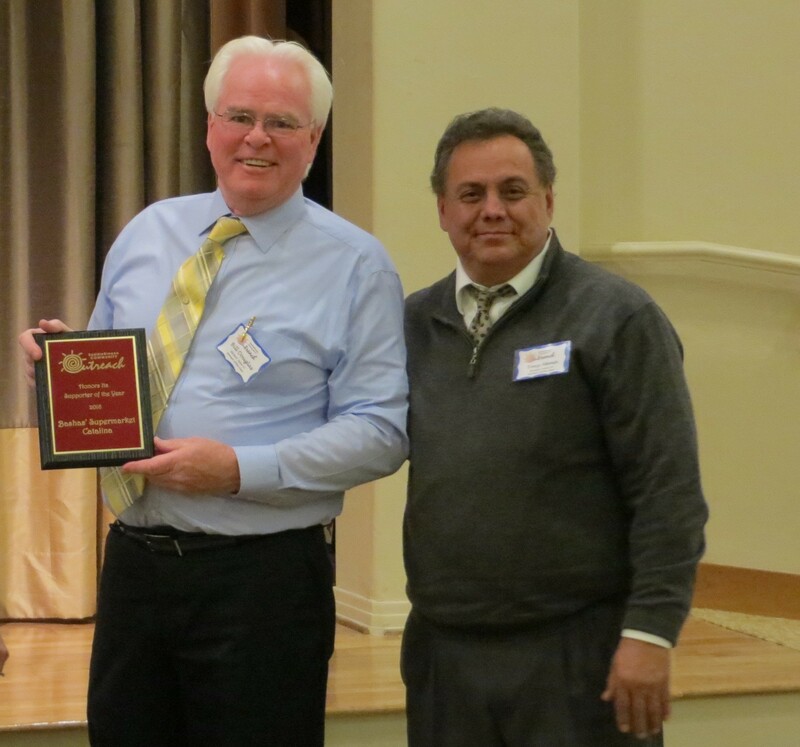 Each year a volunteer, or volunteers, are acknowledged for their generous time given to the programs of SBCO. 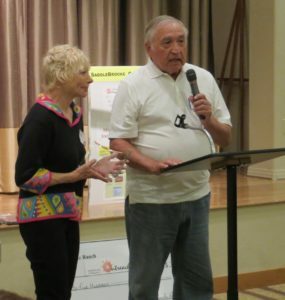 This year Marnie & Bill Leach, residents of SB Ranch, were chosen as the volunteers of the year for the unprecedented time and energy given to Kids’ Closet in particular. When Bill had hip surgery and couldn’t play golf, he helped at the closet using his walker to get around! His youngster even fetched the walker when Bill needed to use it. The Leachs also received a beautiful bouquet of flowers from fellow friends. 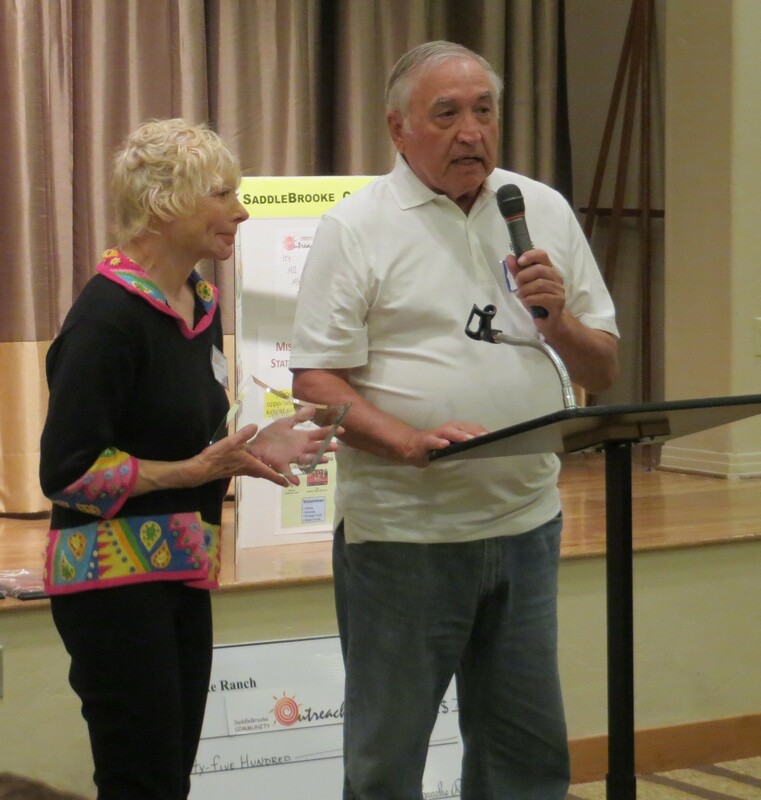 Ted Wiseman and Sam Rossi presented SBCO with a huge check – for $7,500 to be used for educational activities. This SaddleBrooke Ranch Men’s Golf Association has been very generous with its support of scholarships for students in our geographic area who are heading to college. For this and other support, the SaddleBrooke Ranch Golf Association was recognized as Supporters of the Year. Bashas Family Store in Catalina was acknowledged as a supporter of the year for the help they have provided with our summer food backpacks for needy children, for recycling the cardboard from the recent food drive, for offering the Community Support Card that provides funds to SBCO and for ongoing support of Tri-Community Food Bank with weekly donations of soon-to-expire products. The event ended with refreshments and the opportunity to meet the many “Ranchers” who have supported SBCO generously with their time and treasurers.